Migraine Monologues: RENT: How many days have you lost to migraine? Migraine is the great time thief. It shamelessly barges into our lives and steals time that we can never have back. One of the hardest parts of living with migraine are all the milestone events you have to miss: birthday parties, christenings, job interviews, weddings….and on it goes. Time is stolen that you can never have back. I asked several migraine buddies if they would kindly tally up an estimate of days they lost to migraine. Counting up my own days for 2011 -12 I must admit I felt like someone had punched me in the gut. It’s quite shocking, seeing it there in black and white, seeing what the great time thief has taken. Of those 365 migraines, 156 of were Basilar attacks. Plus 6 months off work. It is, really, quite hard to estimate the actual number of days lost to migraine. In my tally I simply added up the days I took a triptan. In 2011 most of my migraines lasted 3 days, and I also didn’t count the hangover days that followed nearly every attack. So my tally from 2011 is probably double the 120 stated. 2011 is also the year I had to give up work due to migraines. 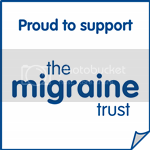 Sarah, Fiona, Claire and Daisy are also essentially noting the days of migraine attacks they had. As Daisy notes in Migraine Memoirs, these numbers also don’t take into account all the times you stay in, tread carefully, rest and miss out on yet more of life as you don’t want to re-trigger that migraine. How many of those Five hundred twenty-five thousand, six hundred minutes have been spent having a migraine? But, more importantly, we should be proud of all that we accomplish despite the time migraine steals from us. You can learn more about RENT here. I highly recommend that you listen to Original Broadway Cast Recording, the above is from the film version. Side note: Myself and the other migraineurs were all able to make this estimate as we keep careful diaries. We all use different ones, but I highly recommend you use a migraine diary, they’re an invaluable tool for your Doctor and for you. 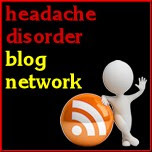 I’ll write a summary of the different migraine diaries available, soon. How many days have migraine stolen from you this year?